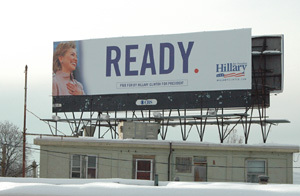 Hillary Clinton for President...Manchester, NH - Jan. 2008. 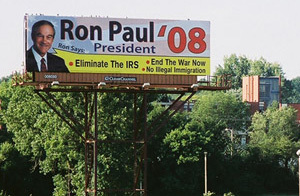 Ron Paul...Des Moines, Iowa - Aug. 2007. SEIU...Des Moines, Iowa - April 2007. 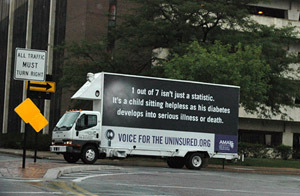 Voice for the Uninsured.org (AMA)...Des Moines, Iowa - Aug. 2007. 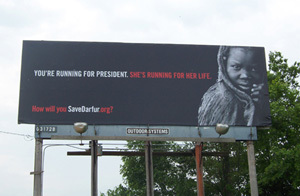 SaveDarfur.org...Manchester, NH - Sept. 2007. 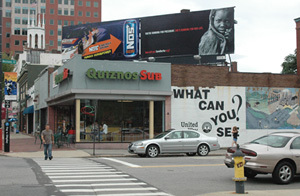 VoicefortheUninsured.org (AMA)...Manchester, NH - Sept. 2007.